The third reply post gave me the answer. Seems that when installing VMware Tools it might associate itself with HTTP and HTTPS links. 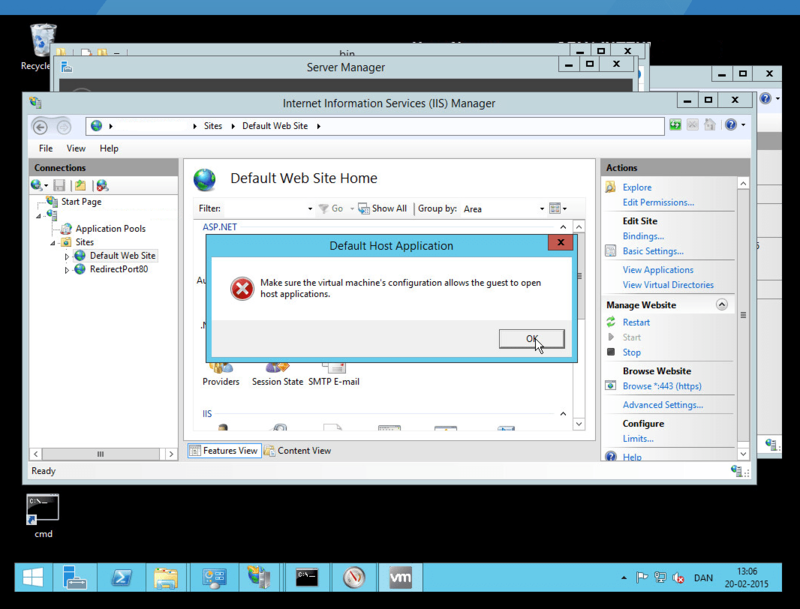 This would then cause a click on the link in IIS Manager to call VMware Tools which is unable to service the request. The fix is pretty straight forward. 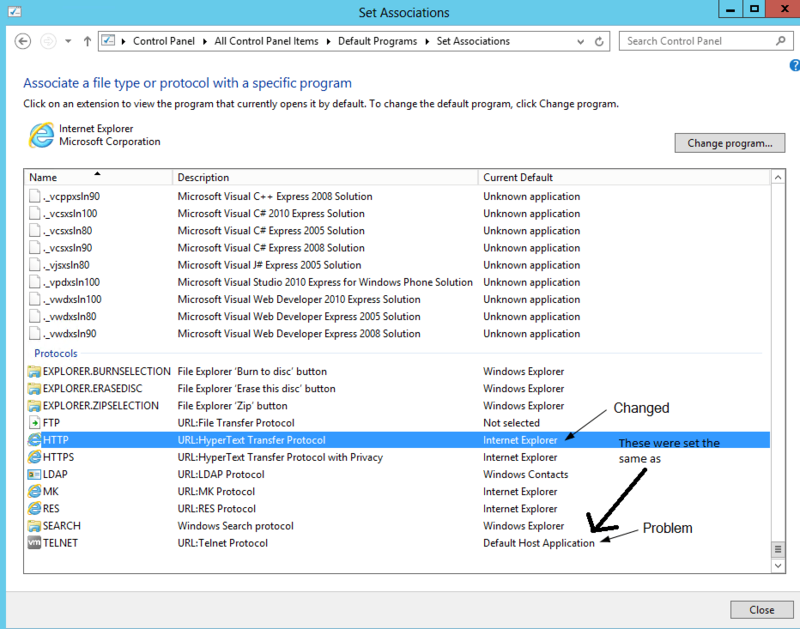 Go to Control Panel, then Default Programs and Set Associations. Scroll down to the Protocols section and locate HTTP and HTTPS. Make sure these are set to your browser of choice – in the image below I set them back to Internet Explorer (he was a Windows Sysadm after all 🙂 ). If the association is wrong it would be set to Default Host Application as shown for TELNET.